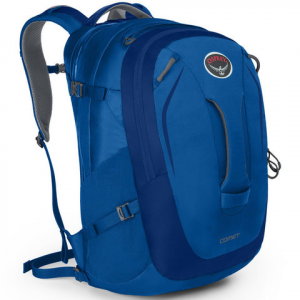 The Osprey Comet Backpack is a versatile daypack that helps you move swiftly in a multitude of settings. It features laptop and tablet sleeves, internal organization elements and plenty of auxiliary storage for daily essentials such as keys, phones, water bottles and trail snacks. Side compression straps keep cargo secure while a removable hip belt provides added support when needed.